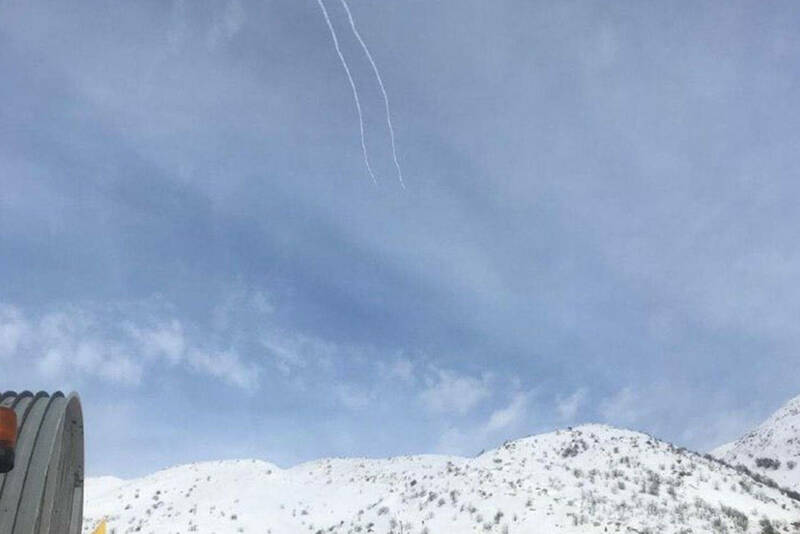 A rocket was fired at the northern Golan Heights and was intercepted by the Iron Dome Aerial Defense System, captured here on a skier's video. (Source: IDF/Twitter). Israel live-tweets attack on Iranian Revolutionary Guard targets in Syria, money from Qatar for Hamas finally to reach Gaza, Israel opens a new airport and Palestinians wound two IDF soldiers at Joseph’s Tomb. The tweet is not only a rarity because it was published as the attack commenced, but it also explicitly named the target: Iranian Quds, an elite unit of Iran’s Revolutionary Guards. Shortly after the air raid, Israeli missile defense intercepted a missile launched by the Quds forces from Syria over the Golan heights. 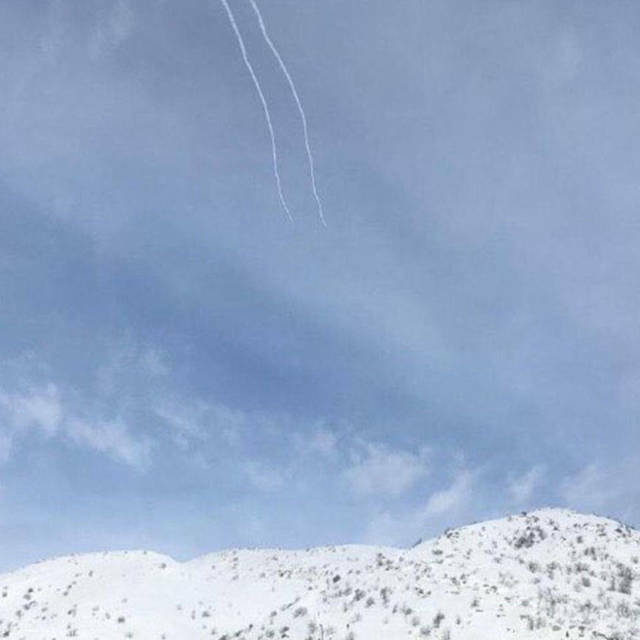 Video of the Iron Dome rockets racing across the sky to intercept the missile was captured by downhill skiers. Israel has become more forthcoming with admissions of responsibility for strikes against Iranian targets in Syria recently, following their explicitly stated policy to use force to hold Iranian forces in Syria away from the Israeli border. Previous targets have included Hezbollah and other Iranian military infrastructure in Syria, but it is rare for Israel to openly acknowledge striking Iranian Revolutionary Guard targets who Iran says are acting as advisors in Syria’s civil war. Israeli Prime Minister Benjamin Netanyahu said Israel will continue striking as long as Iran remains in Syria. Israel also struck targets at the Damascus airport last week, an attack for which they also claimed responsiblity. “I'm telling you, get out of there fast. We won't stop attacking,” he said. With open conflict between Iran and Israel in Syria, Iranian Revolutionary Guard Commander Mohammad Ali Jafari also isn’t holding back threats against Israel. 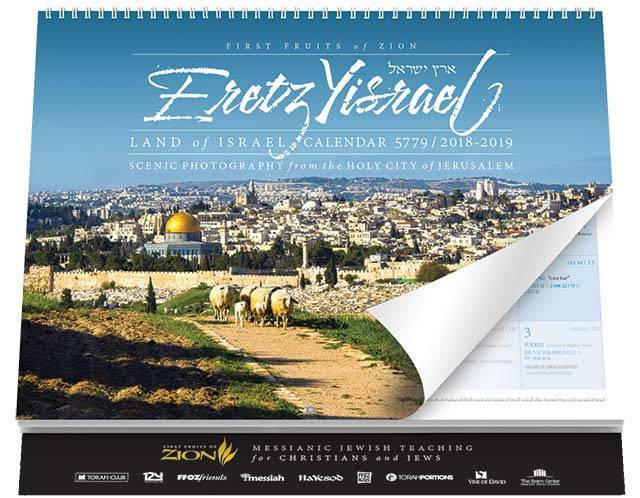 He said on Wednesday that Israel will “fear the day when Iranian precision missiles hit you and take revenge of all the blood of oppressed Muslims which you have shed,” according to the Jerusalem Post. The threats flying back and forth are not empty. Israel’s strike on the Damascus Airport targeted munition storage sites, an Iranian intelligence site and an Iranian military training camp, according to the IDF. Syrian State media reported that their air defense prevented the attack from achieving its goals and shot down five of the six missiles launched. Thousands of Palestinians protested at the border fence on Friday during the weekly Gaza border protest that has continued since March of last year. This week, nineteen were wounded by Israeli fire as they burned tires and threw rocks and firebombs in routine attempts to breach the fence. Israeli forces protecting the border fence also responded with tear gas. In recent weeks, the violence at the riots has escalated as Hamas leaders have threatened greater attacks on the fence in response to the delay of funds from Qatar meant to pay the group’s civilian workers. Just this weekend, a Qatari diplomat announced that the first installment of the $15 million in funds was set to arrive in Gaza this week after being delayed by the Israeli government in response to the increased border violence, according to Reuters. Last week, an IDF soldier was lightly wounded by a rock and a Palestinian woman was killed at the border. Gaza’s Hamas-run health ministry has said more than 220 Palestinians have been killed by Israeli troops at the border protests since they began in March. The protests demand an end to an Israeli-led blockade of the coastal strip that has been in place since Hamas took control in 2007. The payment from Qatar is part of a deal cut by Israel and Hamas last year in one of the cease fire agreements that also promised a cooling of Hamas rocket and mortar attacks on Israel. The deal was hotly disputed as critics said it was caving in to Hamas violence, but some saw it as an alternative to a costly full scale war. The Qatari head of the Gaza Strip Reconstruction Committee said that they will also be pushing for a roughly $80 million electricity project that would have Qatar effectively manage Gaza’s bedraggled power supply by buying Israeli electricity in bulk and distributing it across Gaza while collecting payment from Palestinians. In a historic first since independence, Israel opened a new international airport near Eilat on Monday that promises to boost tourism and serve as an alternative to Tel Aviv’s Ben Gurion airport. The Asaf Ramon International Airport in Timna is named for Israeli astronaut Ilan Ramon who died on the fatal Columbia space shuttle disaster in 2003, and his son Asaf, a fighter pilot who died in a training accident. The airport can host two million passengers a year and cost $460 million to construct, though plans for expansion are in the works, according to the Jerusalem Post. “The Zionist vision is being realized here, from the foundations up to the rafters: planting a root into the earth of the homeland—and at the same time taking off to the peak of success, on the wings of great imagination,” said Israeli Prime Minister Benjamin Netanyahu at the inauguration ceremony. The creation of an international airport near Eilat will help cope with the city’s growing tourism industry and also serve as a backup for Ben-Gurion in the case of rocket fire, terrorist threats or bad weather. But its construction is not without ruffled regional feathers. On Monday, Jordan said the airport violated “international standards regarding respect for the sovereignty of airspace and territory of other countries,” according to the Times of Israel. Jordan’s own King Hussein International Airport in the Red Sea city of Aqaba, which sees a small amount of air traffic, lies a few kilometers to the southeast. Two IDF soldiers were lightly wounded with stones overnight on Monday by a group of Palestinians at Joseph’s Tomb in Nablus. The soldiers were escorting a large group of Jewish worshipers in the area who came to pray at the tomb located in the West Bank. The two soldiers wounded by rocks were evacuated to a hospital, but prayers continued, according to the Jerusalem Post. At the same time as the tomb incident, clashes broke out between Palestinians and soldiers running an operation in the Ephraim region of the West Bank. Palestinians threw stones and molotov cocktails while the soldiers engaged them with crowd control measures. The IDF said that thirty Palestinians suspected of terrorist activities and more were arrested by the Shin Bet security service and police forces overnight, and that during the raids a search for weapons turned up an anti-vehicle weapon.